This Three Day Workshop runs on three consecutive days during school holidays. 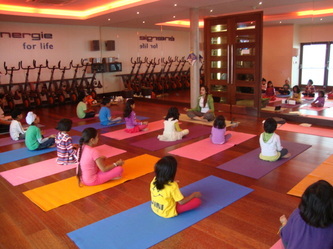 They are different sessions depending on the age group of the children - from 3 - 16 years. Each session lasts for one hour. 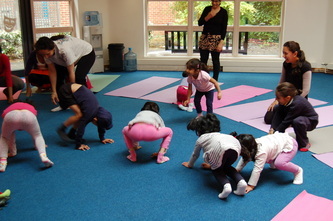 The aim of this workshop is to introduce children to the art of Yoga and the techniques, giving them tools which will help in their daily life. 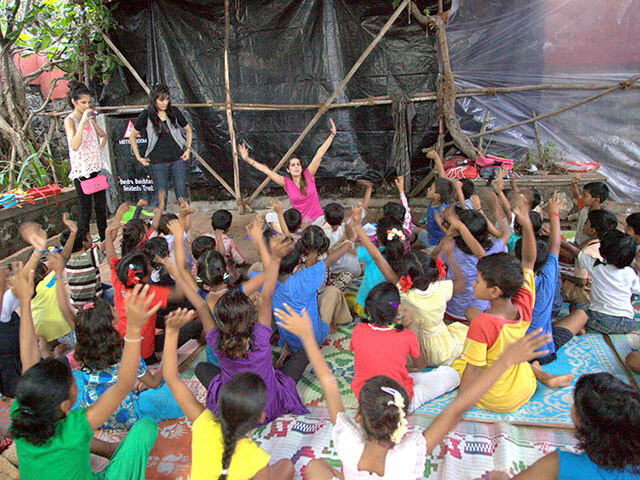 They will learn skills to transform anxiety, nervousness and stress into strength and creativity. Breathe out Nervousness & Stress, Breathe in Confidence & Strength! A Parent or sibling can also join in with their child for the 3 day Yoga Workshop for an additional cost of £20. All workshops are non-refundable and spaces are allocated on a first come-first serve basis. 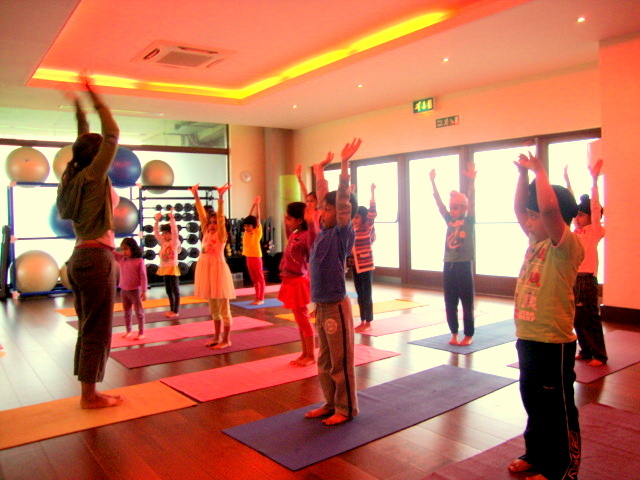 We offer Parent and Child Yoga Workshops at schools and private group classes. Yoga promotes well being and is a beautiful form of exercise that you can share together, creating a beautiful bond with your child. This workshop aims at working together doing yoga postures, easy breathing exercises and fun yoga games promoting good health, peace and harmony. If you book for both dates, there is a reduced rate of £25 for parent and child, and £10 for a sibling. Please fill in the form below to register and click here to pay online. 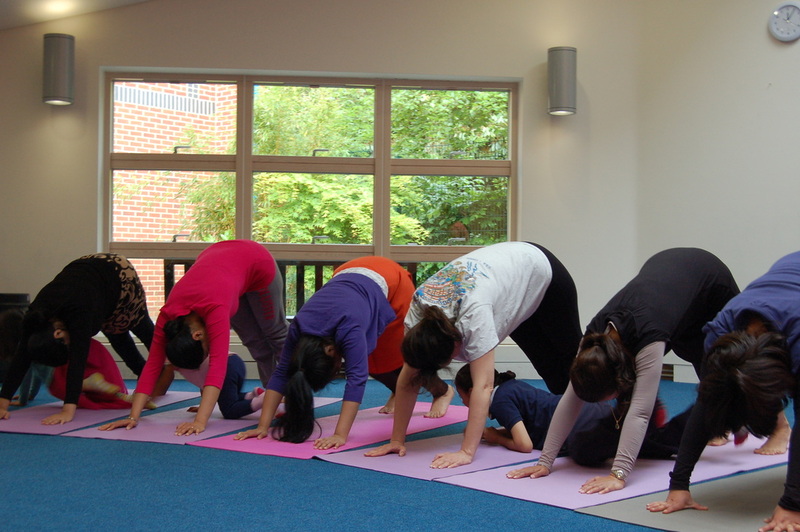 We hold Breathe Out Exam Stress Workshops at schools and private group classes. The workshop is carefully structured according to the age group of the children. 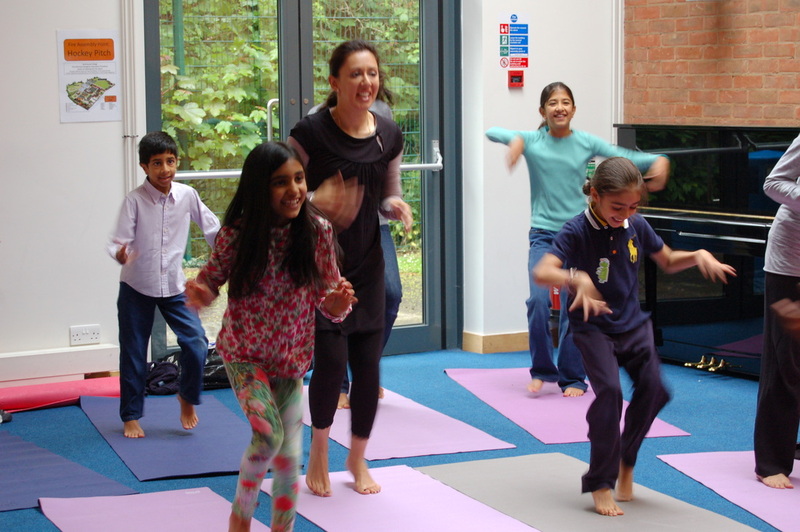 We recommend a 10 week programme, however changes can be made to suit the requirements of the school and children. It helps children to cope with exam pressures and stress. Lack of focus, nervousness and anxiety are some of the most common challenges the children experience, which builds up stress. Breathing exercises, balancing techniques and core muscle workouts help the children to relax their mind, focus and boosts their confidence. It energizes them and helps them to strengthen their will power allowing them to reach their highest potential. Practice any simple meditation for a few minutes before you start your studies. 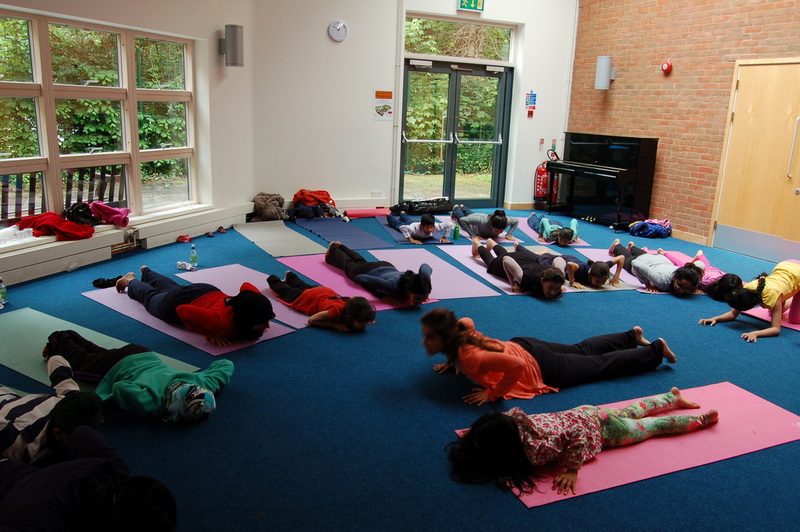 Those few minutes of meditation actually help you to relax and it has been observed that children perform their best when they are calm and relaxed. Breathing is one of the most important and basic acts of life. Breath is connected to the mind. When the mind is overactive and anxious, the breath is shallow and fast. However if you breathe in and out, taking long deep breaths, you will observe the breath gets slower and longer. The deeper the breath, the higher the intake of oxygen supplied to the brain thus promoting a healthier and more efficient mind. 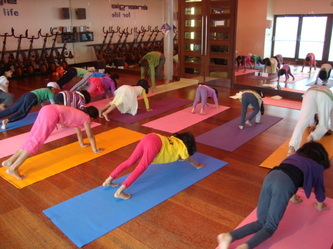 Six quick rounds of Surya Namaskar (also know as the mountain story to the younger children) can be a good work out. It is a complete workout which leaves you feeling fresh and energetic. For further information on the workshops or if you have any queries, please contact us.